Print both the Paper Daffodil and the Stems and Leaves patterns to make three paper daffodils. 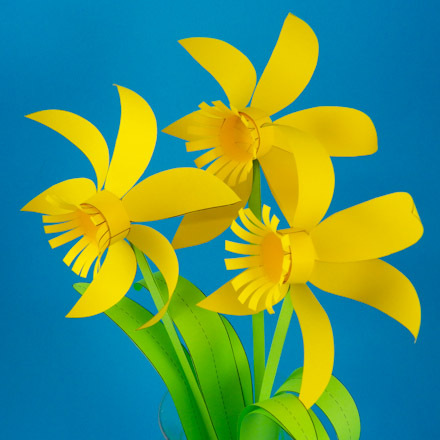 Print the black and white Paper Daffodil pattern on yellow paper, and the black and white (B&W) Stems and Leaves pattern on green paper. Or print the colored patterns on white paper, but the pattern pieces will have white backs unless you print something on the back. 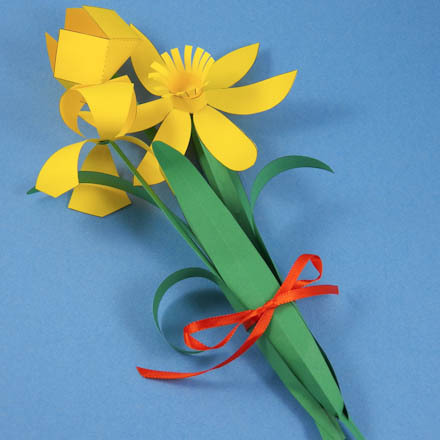 To make a single daffodil from one pattern, print the All-in-one pattern on white paper. These patterns for paper daffodils are from the Spring Flower Bouquet craft project. 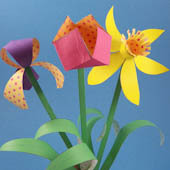 See this craft project for detailed instructions on how to make the daffodils and other paper flowers. Tip: When using white paper, print something on the back of the pattern, like Aunt Annie's Pink Orangeade ePaper. 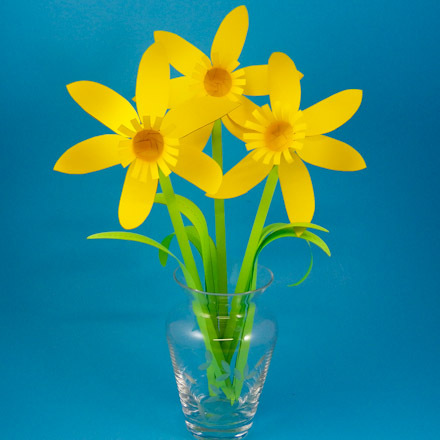 Tip: Make tulips and irises to go with the daffodils, see how in the Spring Flower Bouquet craft project.